In observation of King County’s Disability Awareness Month, we would like to highlight a success story in progress …and an employer who is taking steps to ensure a more inclusive and diverse workforce that recognizes the professional contributions of individuals with behavioral health disabilities. Nick is an Inventory Specialist at Amazon who ensures that multiple Amazon locations are fully stocked with supplies for his hard-working colleagues. He recently celebrated nine months as a full time Amazonian, and has received praise from his supervisors. Nick moved to Seattle in 2006, looking for a better life. “I didn’t know resources or how to get around. I finally ended up in a shelter and living on food bank donations.” At one point, Nick ended up in the hospital, and his search for employment became even more difficult. 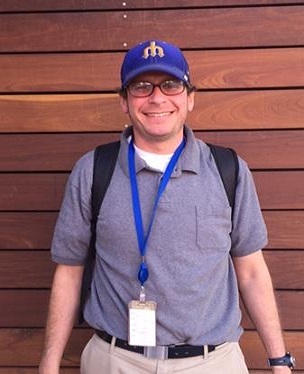 He then connected with the King County Behavioral Health and Recovery Division (BHRD), and enrolled in BHRD’s Supported Employment Program (SEP). This program helps individuals with behavioral health disorders, including mental illness and substance use disorders, either enter or re-enter the workforce. This is accomplished with the assistance and support of employment specialists and an integrated team of professionals, including prescribers, therapists, case managers, housing providers and substance use disorder providers. I love this story! My adopted daughter has an Alcohol Related Neurodevelopmental Disability and finding employment for her in support of achieving independence some day will be very difficult. It’s nice to know there are resources like this so close to home. Another great benefit to living in this region! Jennifer, we agree with you about the wonderful services available in King County for your daughter (in the future) and for many others! In Supported Employment, we routinely see how everyone is able to work when they are connected to a great job “match” and assisted with the right supports for their individual needs. This is very very inspiring. My eldest son is on the Autism spectrum and wants to be in the workforce. I worry sometimes that employers wont be ready to offer mild accomodations for him, and this will effect his ability to be self sufficient. Way to go Nick, BHRD SEP and King County News for covering this story.